Friday Fun for Kids at the King's! Bring your kids or grandkids, ages 3-8, for a special storytime featuring the books of good friend, Fly Guy. A fun activity and snack are included. Tedd Arnold discusses I Spy Fly Guy!. 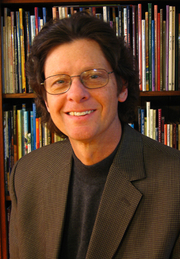 Tedd Arnold is currently considered a "single author." If one or more works are by a distinct, homonymous authors, go ahead and split the author. Tedd Arnold is composed of 7 names. You can examine and separate out names.